Bioderma Atoderm Shower Oil 1 l order online. 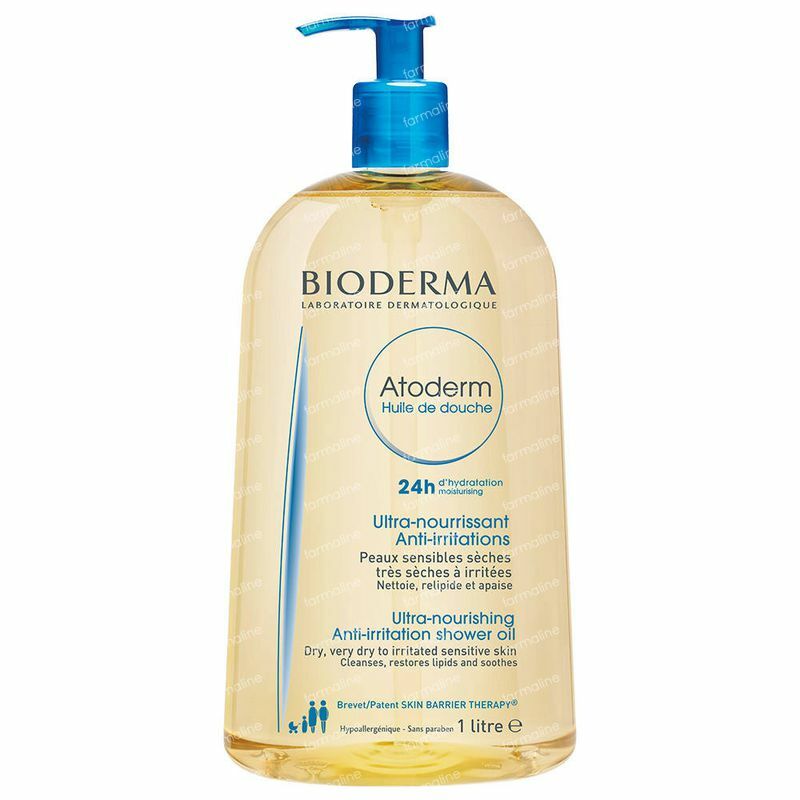 Atoderm Huile de douche soothes and protects from external aggressions thanks to its exclusive formula composed of vegetal biolipids, vitamin PP and Barrier Skin Therapy patent. Ingredients: AQUA/WATER/EAU, GLYCERIN, PEG-7 GLYCERYL COCOATE, SODIUM COCOAMPHOACETATE, LAURYL GLUCOSIDE, COCO-GLUCOSIDE, GLYCERYL OLEATE, CITRIC ACID, PEG-90 GLYCERYL ISOSTEARATE, FRAGRANCE (PARFUM), MANNITOL, POLYSORBATE 20, XYLITOL, LAURETH-2, RHAMNOSE, NIACINAMIDE, FRUCTOOLIGOSACCHARIDES, TOCOPHEROL, HYDROGENATED PALM GLYCERIDES CITRATE, LECITHIN, ASCORBYL PALMITATE.